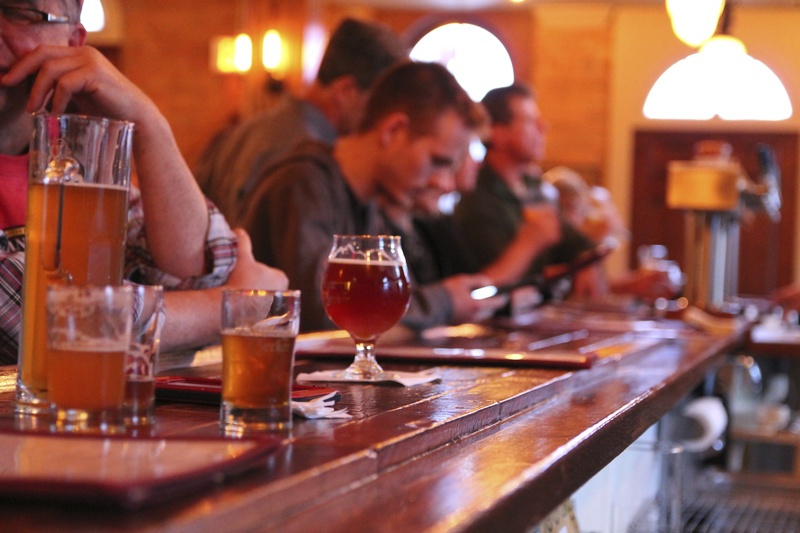 Frequently Asked Questions at Brewery Becker and some Fun Facts about Beer and more! 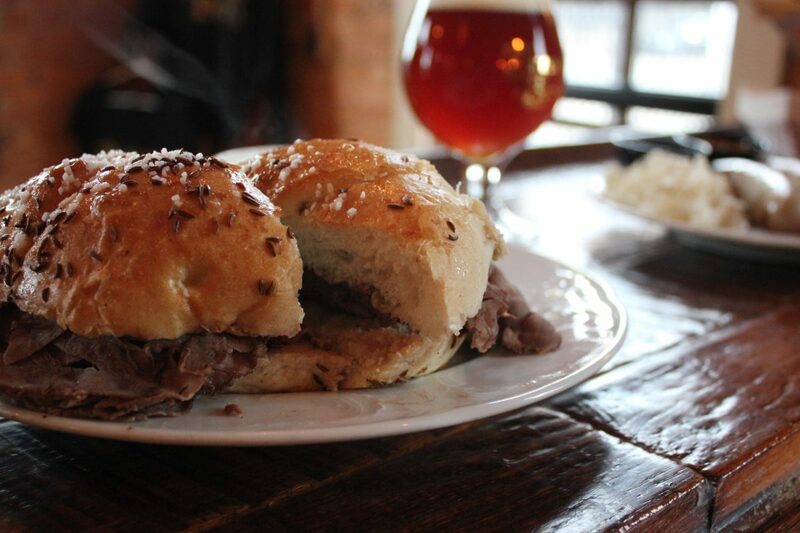 We have a light eats kind of menu, you can find here, and also allow you to bring in outside Carry-Out or have local delivery to the Brewery. We want to bring in our kids. Are you Family Friendly? Yes. We have a variety of games and actives available. The atmosphere and seating is very family friendly. 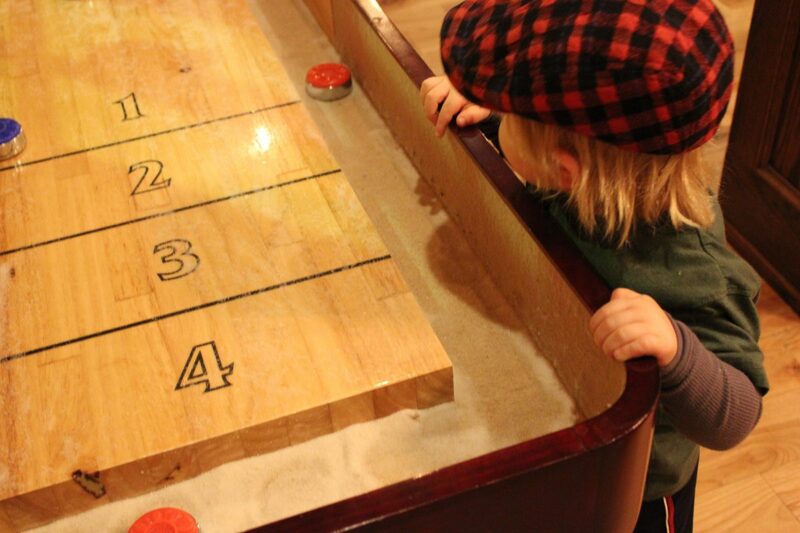 The brewery is enjoyable for all ages. Do you sell/fill Growlers & Kegs? We sell “Fancy” Growlers and “Standard” Growlers here in the Brewery with our Logo on it. 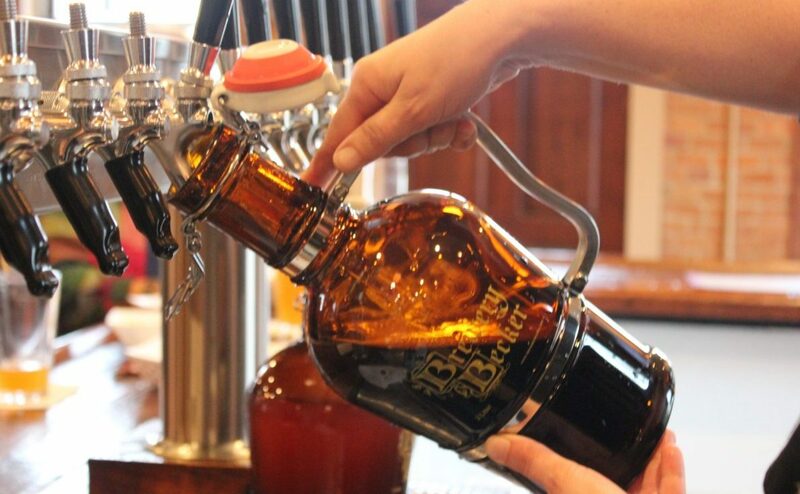 You may bring in your own Growler to be filled too! 1/2 and 1/6th barrels Available. Bring us your Corny Kegs, and we will fill them for you! Filling time necessary for barrels and kegs. I’m not much of a beer drinker, but my ______ is and loves your beer. What other drinks do you offer? You may bring in your own corked wine. We will un-cork it for you for a fee, then legally you are free to drink and enjoy your bottle of wine here! We serve non-alcoholic drinks as well like Coffee, Juices, Soda and other non-alcohol beverages. No, but we serve Beertails. It is like a cocktail made of beer + another ingredient. For example, our Hefeweizen mixed with Blood Orange San Pellegrino is delicious! How do I join your Mug Club? You may sign up in the tap room. With your membership, you will get a BB T-shirt at sign-up, plus $1 off drafts and growler fills for the length of your membership. Learn More. 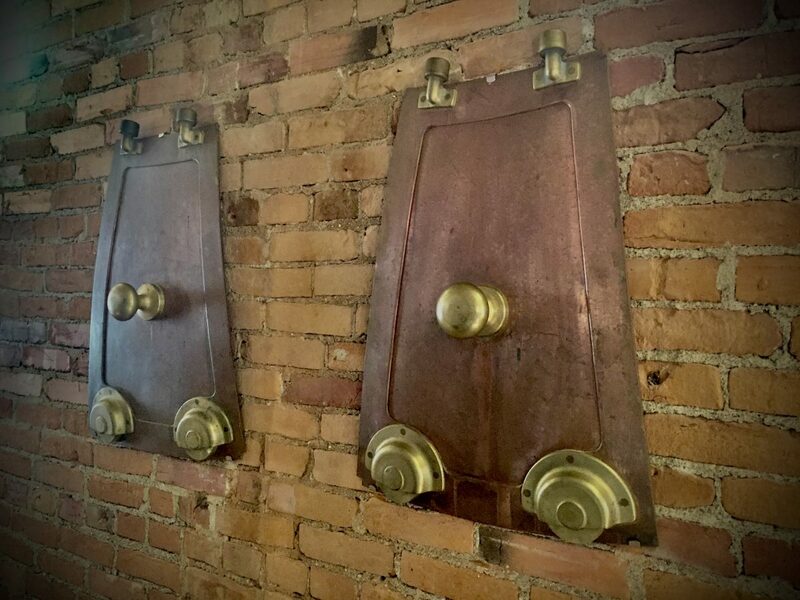 What are those metal antique doors hanging on the wall? Those are antique brew kettle doors from the Celis / Hoegaarden brewery. Pierre Celis was the reinventor of the Belgian wit style of beer (think Hoegaarden or Blue Moon). I want to host and event, class, party or meeting. 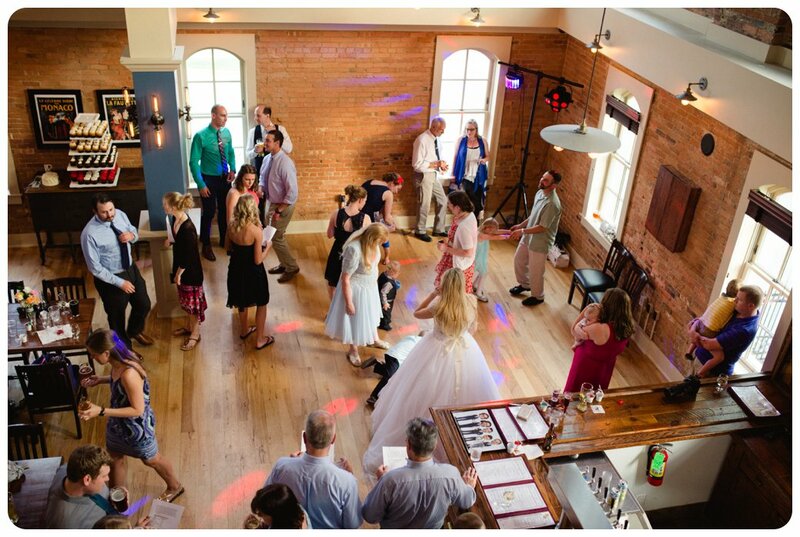 How do I get use of your 2nd Floor or Mezzanine for meetings or parties? For more about our Second Floor and Amenities, click here. Interested in Renting the space? Venue Rates can be found here. Further questions or want to reserve? Contact our very own event coordinator, Christina by email. What’s your outdoor patio like? 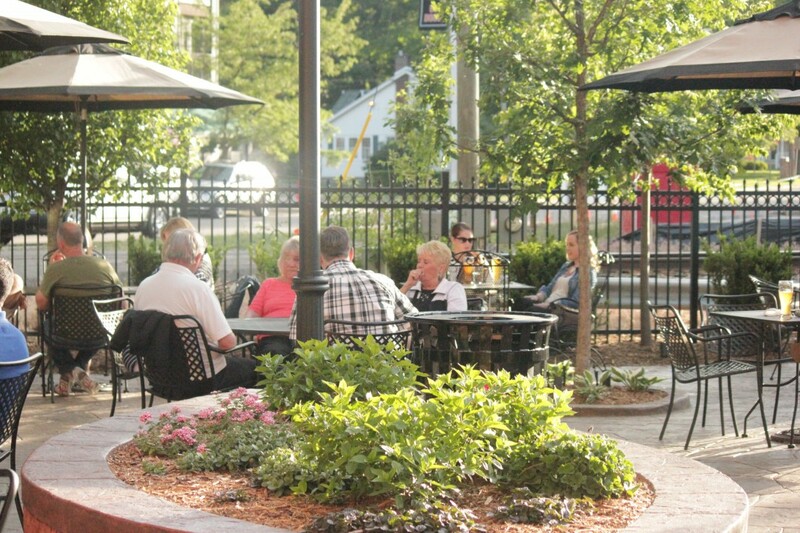 More than outdoor seating, our Award Winning Biergarten isopen year round, graced by gorgeous landscaping, fenced-in, tables with umbrellas, raised garden beds, fire-pit, heat lamps and a pergola. With bar service only, most of the time. Come see it for yourself! That huge tree in the biergarten is gorgeous! Tell me about it? 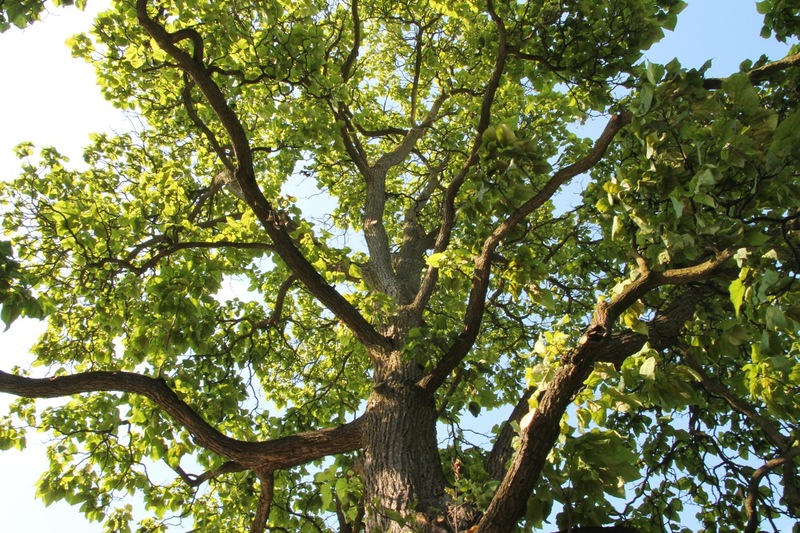 A Catalpa Tree, is was already as tall as the building in 1892. Located in the Biergarten, it is likely one of the oldest its kind in the world. See photos & read about in this blog post. The building 500 W Main Street, Brighton is on the National Registry of Historic Places. 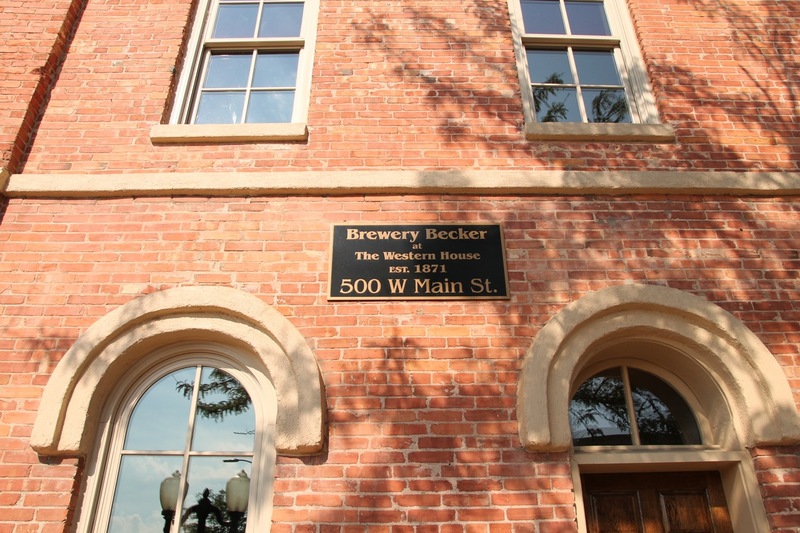 Once known as The Western House, built in 1873, has been Brewery Becker since 2014. Much of the integrity and history remains in the building today, and was kept a priority by the owners when renovating and remodeling. Visit the Brewery for a step back in time and a true experience. Read more about the Building History. I love the walls in the Brewery. Who did that for you? 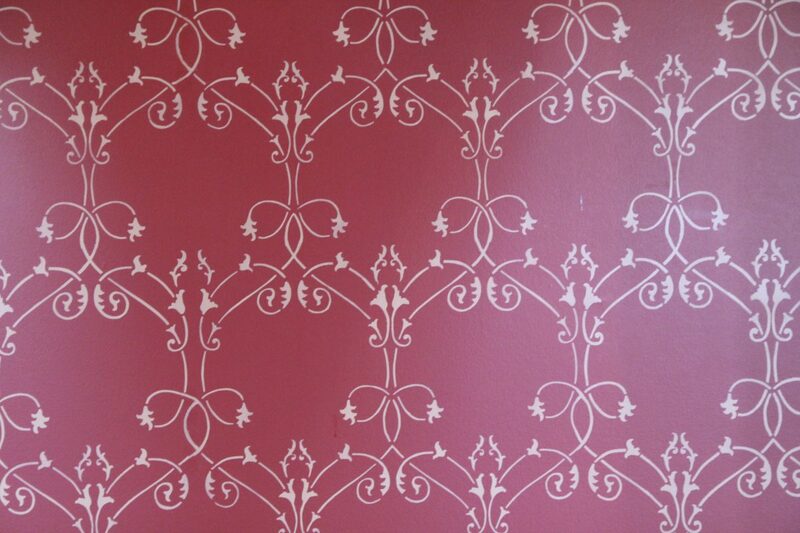 Our very own Christina, the owners wife, hand painted the pattern seen on the walls throughout the Brewery.